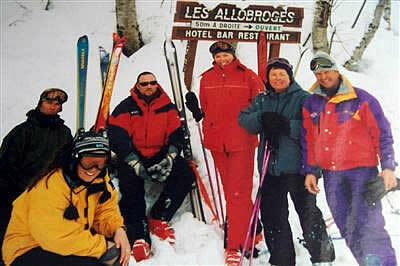 Pit Stop Days.... Sausage sandwiches on the way to the lifts! 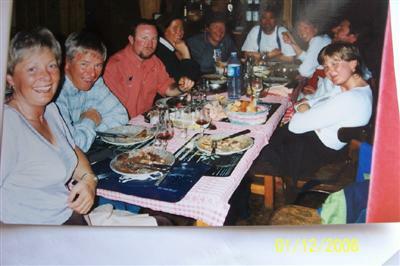 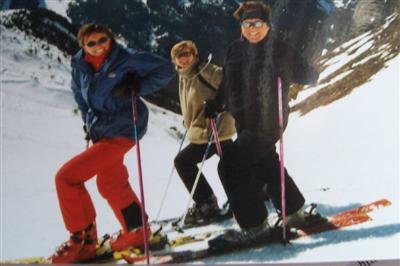 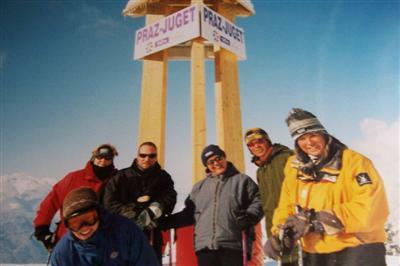 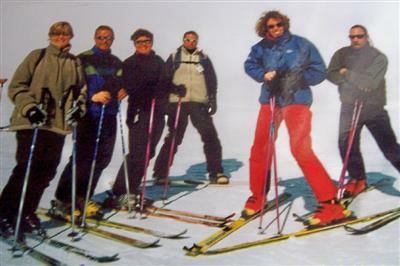 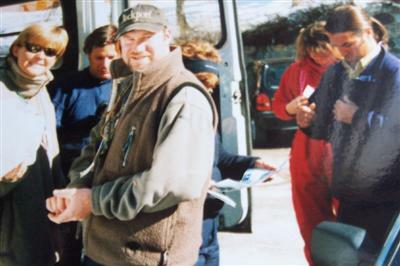 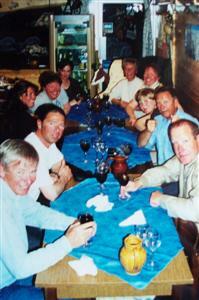 Below are the Silver Ski Staff in La Tania from 98-99: Carol, Trev, Sue, Baz, Jason, Dawn, Linda, Pete, Wayne, Jo and Vicky. 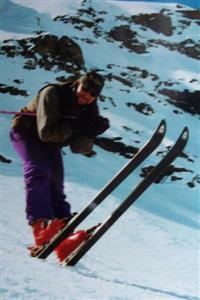 Thanks to Sue for sorting these ones out - Look at those straight skis!